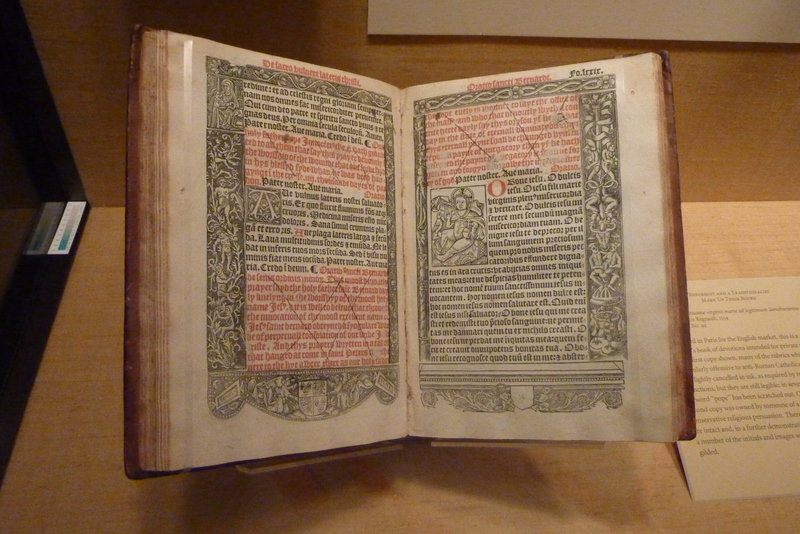 Forgive my ignorance…so the Folger has an exhibition part? I think I had read you have to make an appointment or something for research, but can anyone just walk in and look at the items you’re talking about? Because I might be in DC Thursday for another museum, so maybe I could stop there…I don’t think those spaces are affected by the holiday. Hi Amber, unfortunately the Folger is closed on all federal holidays including this Thursday. For future reference, you don’t need an appointment to see the exhibit on days when the Folger is open, and there is no cost to see it. Score! Great, thank so much for the information! I’ll definitely have to get down there to see it! Thanks! All this is so wonderful–I wish I could figure a way to get to DC!! I love those illustrated books of hours–Hope to see Anne Boleyn’s someday at Hever!